An account of chess records not usually available or been written in a single news or report. Le Quang Liem wins 3rd HDBank Cup 2013; Paragua 4th. 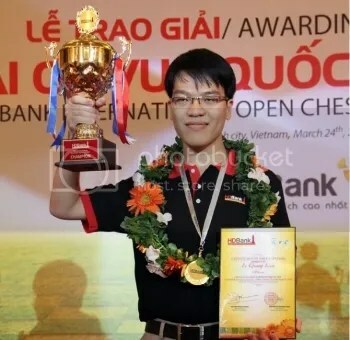 Read more: Le Quang Liem wins 3rd HDBank Cup 2013; Paragua 4th. This entry was posted in News by Joeyj. Bookmark the permalink.